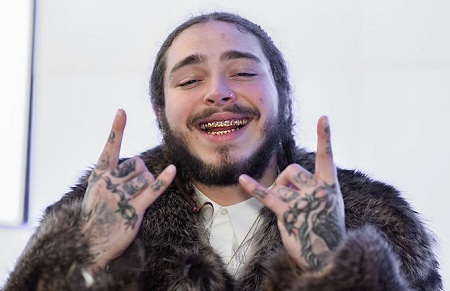 American singer and rapper Austin Richard Post best known by his stage name 'Post Malone' has been one of the most peculiar figures in the music industry since his arrival. Some of our favorite celebs definitely make things easier for us; things regarding their personal affair while some keep the dating life under the curtain. He prefers to maintain his personal life and relationship status secret. Here we have some details about his love life and girlfriend. Let's find out!!! Post Malone has an exciting and successful 2017. His debut album, Stoney was certified platinum with his single 'Congratulations' peaked at number eight on the Billboard Hot 100. His lead single 'Rockstar' featuring 21 Savage became his first Billboard Hot 100 number one. He is almost ready for the Bud Light Dive Bar Tour in Nashville, Tennessee; the perfect launching pad for the release of Beerbongs & Bentleys, his upcoming album. Post Malone ready to show his inherent talent on 4th April. Malone is promoting the performance using the brand's 'Famous Among Friends' challenging strangers to validate their friendship skills. 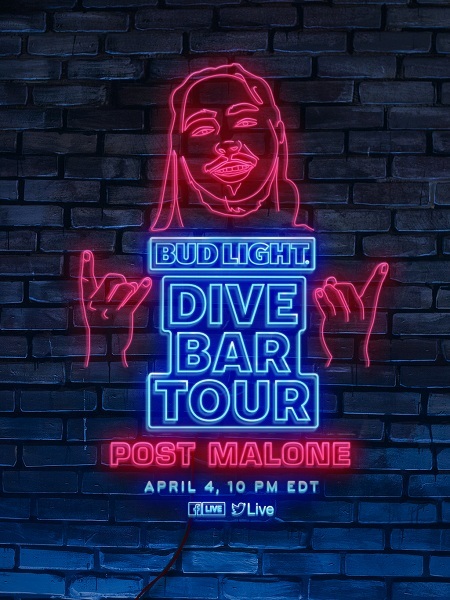 Post Malone Bud Light Dive Bar Tour poster. Well, with all the success stories of the star, his fans are trying their best to drag some of his personal details. Everyone has the same question whether the star is single or dating someone in secret? Malone is pretty secretive regarding his dating life. He is active on his social sites but he hasn't left a single clue that says something about his dating or girlfriend. Malone was spotted with a mysterious lady back in January 2017. The two were busy shopping at Barneys New York in Beverly Hills. 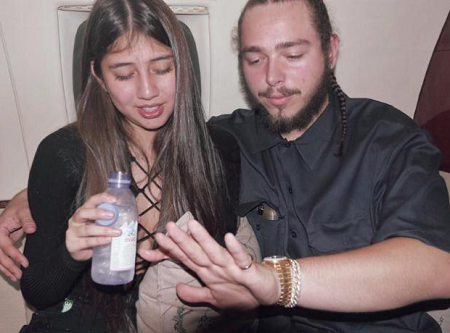 Though many sources claimed that the rapper is still in a relationship with the lady, Malone hasn't confirmed his romantic life yet. Malone was once rumored to be dating Ashlen in 2015. People speculated their relationship when Ashlen booked him for a show at a nightclub the same year. The secret dating life of the lovely pair, however, was short-lived as they parted ways sometime after their first Breakfast Club interview back on 24 September 2015. They two were spotted in November 2017 at Olive Garden celebrating the success of 'Rockstar' which topped the Billboard Hot 100. Looks like the spark is still there, but then again, who says, exes can't be friends. Born on 4 July 1995 in Syracuse, New York. He is raised by his father, Rich Post, and step-mother, Jodie Post. He is American Nationality; belongs to white ethnicity. He began playing guitar and auditioned for the band Crown the Empire in 2010. He chose his stage name 'Post Malone' when he was just 14 or 15. He gained an interest in playing guitar from the popular video game Guitar Hero. He studied at Grapevine High School. He enrolled at Tarrant County College but dropped out. He rose to prominence with his debut single 'White Iverson' in August 2015. He has an estimated net worth of about $8 million.